Easy access to any forestry plantation is essential for the management and future harvesting of the crop. 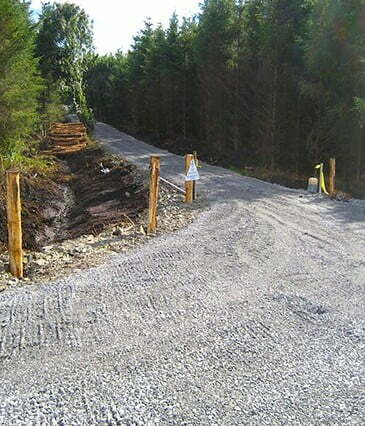 Good forest road design and construction improves the efficiency of timber harvesting and haulage. Forest roads also benefit recreation access, forest fire prevention and improve biodiversity. In order to be eligible for a road grant, 20% of the forest must be thinned within three years of receiving the 1st instalment grant.